Car, truck, and motorcycle accidents can cause serious injury and place a great deal of emotional strain on you and your loved ones. After receiving medical care, it is important that you pursue legal representation as soon as possible. After a collision, a car accident lawyer at Owens Moss, PLLC in Jackson, MS, can help you receive compensation for your medical bills and pain and suffering. We promise to always provide honest feedback regarding your case so that you can make the best decisions for your family. No matter what, stay at the scene of the accident. If safe to do so, move your car out of traffic. Leaving the scene before the authorities arrive could make it look like you committed a hit-and-run. If you or anyone else is injured, call 9-1-1 to get medical care. You should also call the police so that you can begin the process of filing a report, which can be used as evidence in your accident. 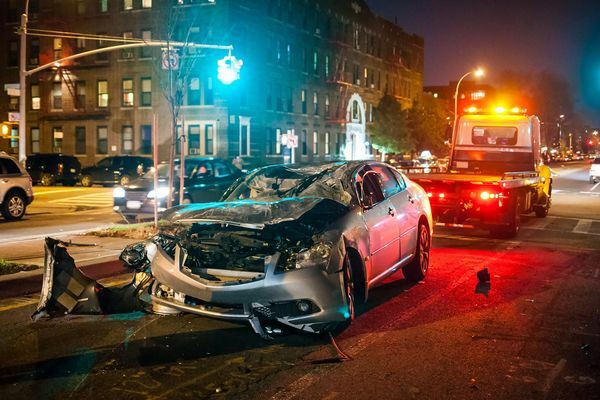 Swap license, contact, and insurance information with the other drivers involved in the auto accident as well as any bystanders who may have witnessed the event. Take photos and videos of the crash site, property damage, and injuries. These can be used to build your personal injury case later on. Even if you believe that you are at-fault for the accident, do not admit fault or apologize. A lawyer can help fully investigate the crash and determine what exactly happened. As soon as it is safe to do so, contact a lawyer. An injury attorney at our law firm can review your case and help you get fully compensated for your losses. Our lawyers were able to obtain a settlement of $20 million for victims burned in an industrial explosion. Our law firm reached a settlement of $3 million for victims of an accident between a truck and a motorcycle. Our law firm was able to recover $3.7 million for a family whose child wrongfully suffered cerebral palsy during their delivery. Rear-end Collisions: Rear-end collisions occur when one vehicle is following too closely behind another and is unable to brake quickly enough to avoid a collision. This type of accident can cause a variety of injuries to both parties. Head-on Collisions: Head-on collisions usually occur at intersections or on two-way roads when one vehicle swerves out of its lane into oncoming traffic. Head-on collisions can result in very serious injuries. T-bone Collisions: T-bone accidents describe a crash where one vehicle hits another from the side. These collisions often occur at intersections, where one car fails to notice another oncoming vehicle and begins to turn or cross the intersection. Rollover Collisions: Rollovers can occur from virtually any type of accident when enough force is exerted on one vehicle to cause it to completely turn over. Even in cars that meet the most stringent safety standards, rollover accidents have the potential to cause devastating injuries. Sideswipe Collisions: A sideswipe accident occurs when one vehicle crosses a line while traveling in the same direction as another car and "swipes" against its side. Sideswipes are particularly dangerous because they have the potential to cause one vehicle to lose control and veer into oncoming traffic or off the road. Our attorneys will fight to reconstruct your accident and discern which parties are responsible for your injuries. Soft-tissue Injuries: The most common soft-tissue injury resulting from a car accident is whiplash. Whiplash describes an injury to the neck and upper back that causes the muscles and ligaments in the neck to stretch quickly. Cuts and Scratches - Cuts and scratches commonly occur during car accidents. Some require medical attention, while others are minor. Injuries to the Limbs - Your legs and arms can sustain a number of injuries during a car accident. From cuts and scrapes to soft-tissue damage, strains, and even broken bones, these injuries should be examined by a medical professional. Head and Spine Injuries - The most devastating types of injuries can affect the head and spine. Brain injuries and spinal cord injuries can have lifelong effects and require immediate medical attention. ​To schedule your free consultation with one of our attorneys, call us at (601) 352-8443 or contact us online.